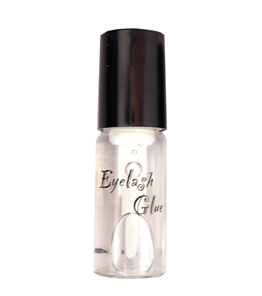 Clear false eyelashes glue with applicator. Glue comes in a small sized bottle that will fit in even the smallest of purses. Perfect for spot touch ups and emergency makeup bags. Dries clear so you can use this one with any shade of makeup. Made in Korea.